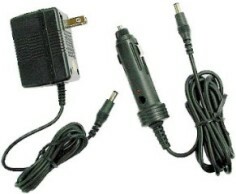 SG18 NI-MH Rapid Battery Charger 110 Volt Charger. Charges 2 or 4 AA or AAA Batteries. LED lights indicate when fully charged. Automatically switches to trickle charge. Includes AC & DC Car Cords.